Touted as a ‘smart feature phone’, the JioPhone caused a huge stir when it was released late last year. But besides the dedicated Jio apps, it didn’t have any third-party apps that most smartphone users take for granted. The device was supposed to have access to popular apps such as WhatsApp and Facebook, but that never quite materialized in the months since launch. However, all that is about to change with Facebook announcing that a dedicated app for JioPhone available for download from today, February 14. Facebook says the app has been designed specially to work on the JioPhone, and has been optimized to support the cursor function. The software will be available for download on the Jio Appstore, and is expected to support push notifications, videos, and links to external content. JioPhone was easily the best-selling feature phone in the country last year. 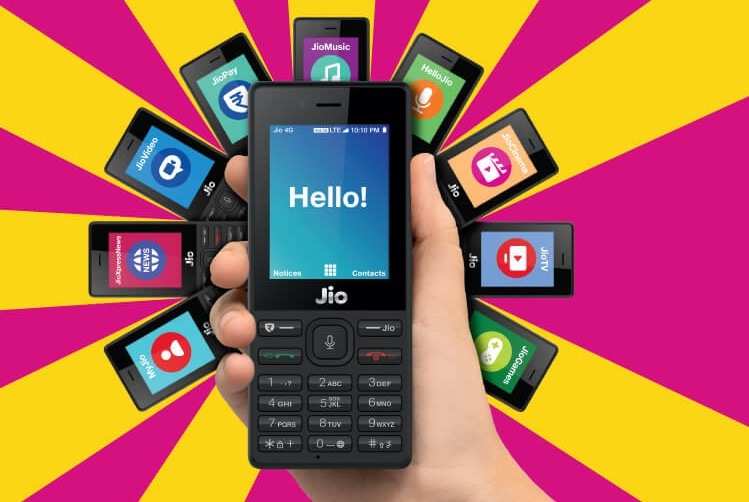 It is powered by KaiOS – a fork of the now-defunct FirefoxOS – and comes pre-loaded with quite a few Jio apps, including, but not limited to, JioTV, JioMusic, JioCinema, HelloJio, JioGames, JioTv, JioShare etc. In a press statement, Akash Ambani, Director and Chief of Strategy at Reliance Jio, expressed his satisfaction at the developments. The Vice President of Mobile Partnerships at Facebook, Francisco Varela, also released a statement to the press, saying, “We are excited about our partnership with Jio and the opportunity to provide the best possible Facebook experience for millions of people using JioPhone”.